Could YOU be a hands-free killer? I see this every day… people driving whilst talking on mobile phones, or even worse – texting. But although the average driver may think that hands-free equipment is perfectly safe, this may make you think again. The court heard Howden had earlier been seen swerving across the road and that minutes before the crash she was seen in the wrong lane and drove in front of a car. She was using a hands-free kit with wired headphones attached when she fatally crashed in November 2007. University of Utah research published in 2002 showed that drivers using a hand-held or hands free phone missed twice as many hazards as when not using the phone, due to attention diversion. Research from Western Australia, published in the British Medical Journal, found that driving while talking on a mobile phone – whether hand-held or hands-free – increases the risk of a collision by four times. A study commissioned by a leading UK insurance company revealed that talking on any mobile phone while driving is so mentally distracting that it is as dangerous as driving when slightly over the UK and US legal blood-alcohol limit of 0.08. ‘Cognitive distraction’ from a hands-free mobile phone is just as serious as that from a hand-held. Four TRL studies concluded that all car phone conversations and texting result in more drifting in lane, slower reaction time and more missed events. Tony Holt, BT’s Travel Safety Subject Matter Expert said: ‘We suspect a lot of organisations will be nervously reviewing and tightening enforcement of their mobile phone polices again after seeing all this research, and the news generated by the Marie Howden case, which brings home the reality about driving using even a hands-free mobile. It’s vital that our drivers follow BT policy and the legal requirements at all times’. Tighten and enforce company policies limiting work and personal use of all mobile communication equipment while driving. Do not accept any breaches of the law or company policy concerning the use of mobile communication equipment in vehicles. Any evidence, including complaints from other road users, of employees breaking these rules must be treated with the utmost seriousness. Supply ‘engine on / mobile communication equipment off’ that cannot be used when vehicles are in motion. Ensure drivers use voicemail or call diversion and stop regularly to check messages and return calls. Ask if it is safe to talk. State how urgent the call is. Keep the message brief and ask the driver to call you back when they stop. Be fully aware of the legal requirements and company policy regarding use of mobile communication equipment. Plan each aspect of your journey before you start, enabling you to take regular breaks and deal with calls. If your phone rings while driving, allow the call to divert to message bank or voicemail. Stop in a safe place to take regular breaks to make a call or retrieve messages. Do not stop where you pose a hazard for other vehicles or pedestrians. Never take notes, write messages, look up phone numbers, read or send SMS messages while driving. Use mobile communication equipment in a responsible manner, being aware of your surrounding environment, respecting the reasonable expectation of others in your immediate vicinity, particularly in locations such as in hospitals and airports and on airplanes and trains. 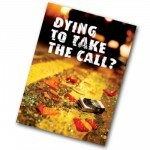 Do not use a mobile phone whilst driving as your major task is to arrive safely at your destination. Under no circumstances participate in conference calls while driving. Avoid using mobile communication equipment while driving. Ensure your voicemail is activated or set up automatic diverts to other team members. Undertake critical calls and other mobile communication equipment use before starting your journey. Take regular breaks to deal with calls and messages. Ask your passengers to take and make calls on your behalf. Dr Murray concludes by saying that even in cases where organisations feel the need to stop short of banning all use of mobile communication equipment while driving, managers and drivers should take all reasonable steps to ensure the safety of themselves, their people and other road users in the wider community.